I’m taking a little break this Saturday, while my Monday post is cooling. So I thought I would work on my Sunday post. This Saturday it’s been pretty quite at my house. My dogs are resting, my Husband went to work and Little Jenny is at work too. It’s almost to quite in here. The weather is perfect out, it’s not to hot and not to cold. The sun is shining and it’s an absolutely perfect fall day. I have been sneaking outside to relax in the warm sun and catch up on some magazine reading. While I was sitting outside, my dog went bonkers and I heard a weird barking sound. I look and it’s this fat squirrel sitting in the tree barking at my dog. My dog is jumping up on the fence trying to get him. Now this squirrel loves to torment my dog. He runs on the fence, jumps in the trees and purposely does it so my dog would go crazy!! The squirrel even wags his tail. Oh man, my dog hates that squirrel. The other day I saw my dog standing up on my outside table, with his paws on the chair trying to see where the squirrel is. The squirrel is not around. My dog does his daily rounds, around the yard looking for his furry little friend. It’s so funny to see this. My other dog Samantha could care less. She just lounges on the deck watching her brother act like a maniac. It’s amazing how dog personalities are so different. 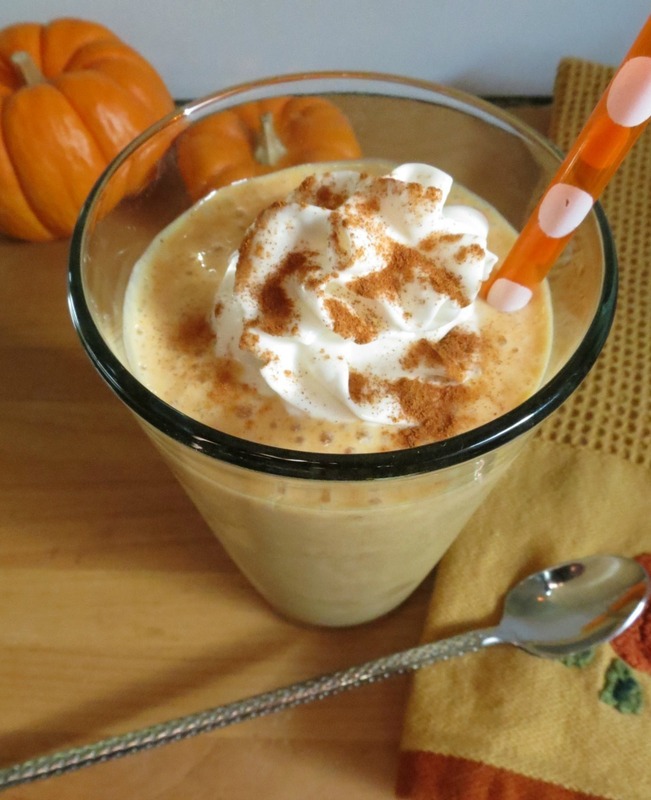 Monday – Pumpkin Smoothie – This is a wonderful drink that is refreshing and healthy. I had this after my workout and it hit the spot. I had two of these babies this week!! I don’t think I’ll ever get sick of pumpkin! 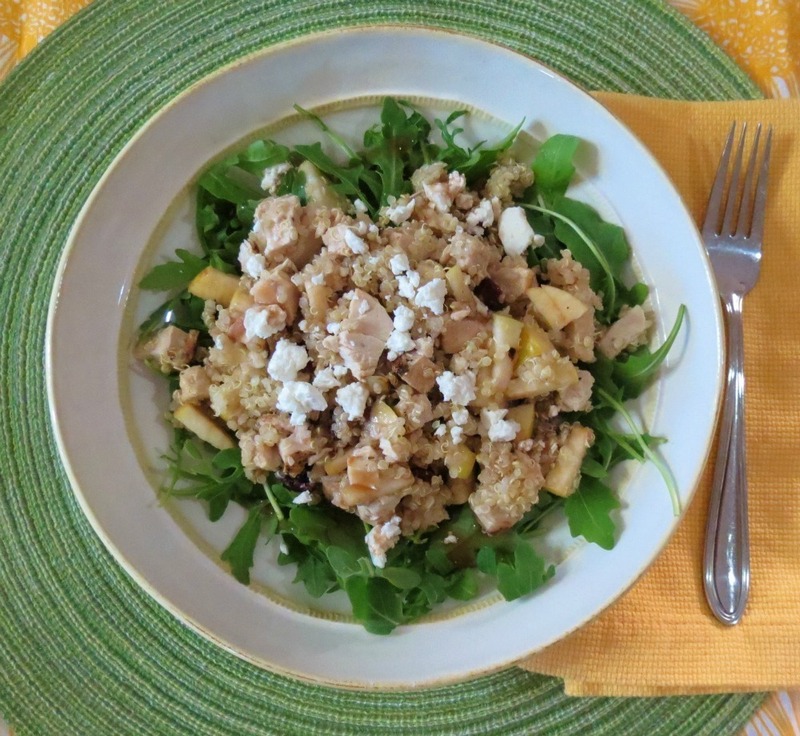 Tuesday – Apple, Cranberry, Chicken Quinoa Salad – I love this salad. I made a big batch of quinoa this week and I have been having this salad all week for lunch. I just love all the flavors of it!! Wednesday – Man vs Woman – Mashed Potato Edition – I was shocked on how wonderful these potatoes are. Making them in the microwave is so much better than peeling and boiling them. 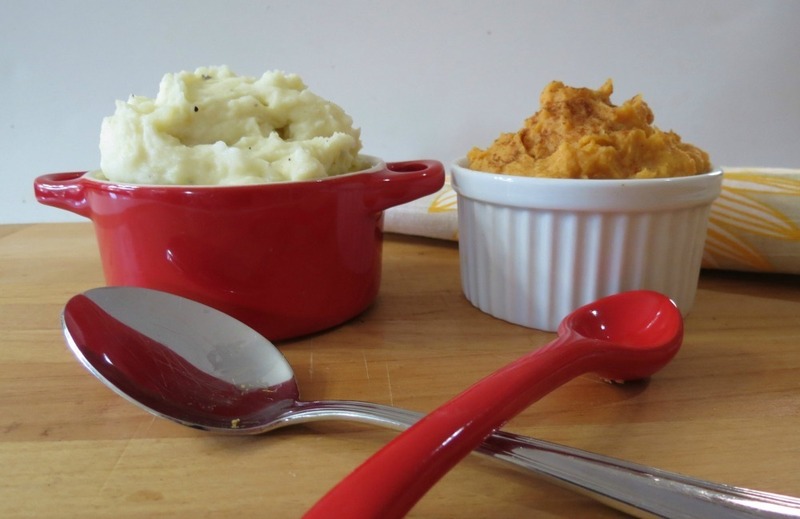 You can have mashed potatoes in 5 minutes!!! You have to try this!! 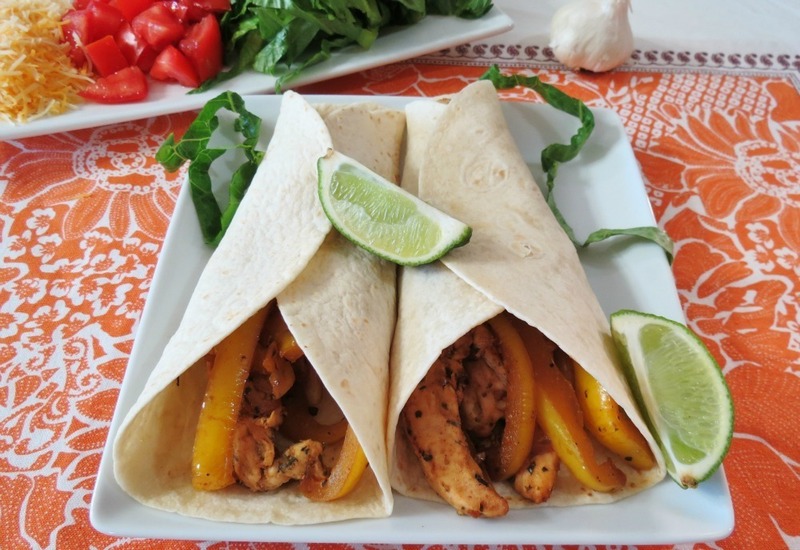 Thursday – Garlic and Lime Chicken Fajitas – I was really surprised how wonderful the McCormick seasonings are. The flavor combination together is simply wonderful! I loved this dish and I will be making it again soon!! It’s perfect for leftovers!!! 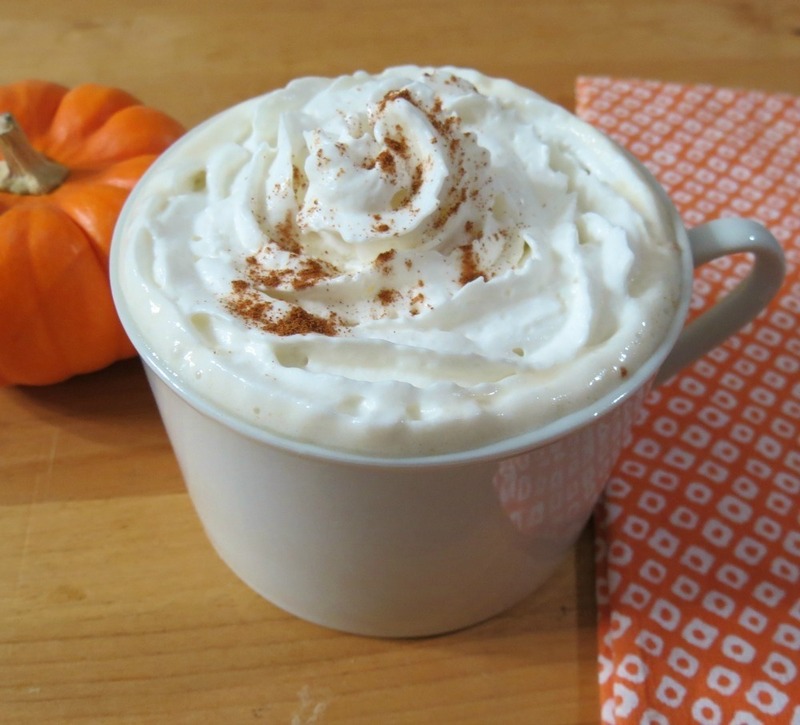 Friday – Pumpkin Spice Latte – This was created for you! I have been asked by several readers to create a healthy version of this drink and after a few tries I think I got it down. This drink is amazing and I will be making this about a bazillion times this fall and winter! Saturday – Egg Salad Supreme Sandwich – This is Emeril Lagasse’s recipe – I love this sandwich and will be perfect for lunches! Don’t forget I’m giving away a copy of his cookbook, so be sure to stop by my post. 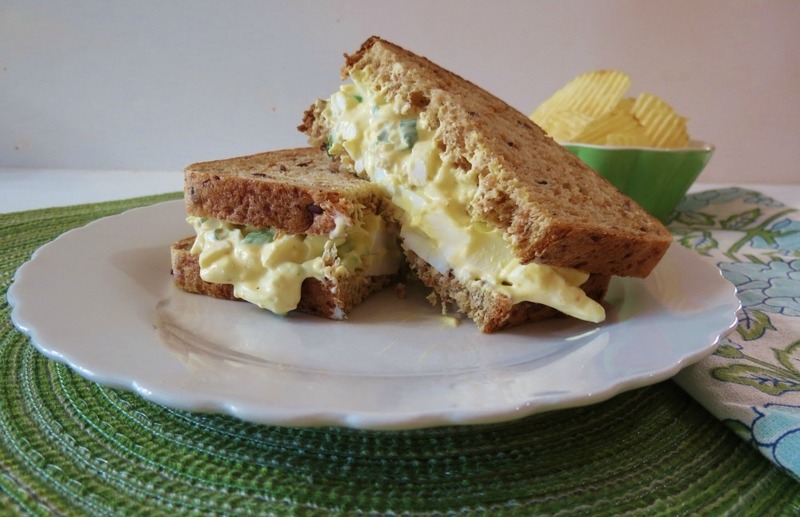 Just click the Egg Salad Supreme Sandwich link! 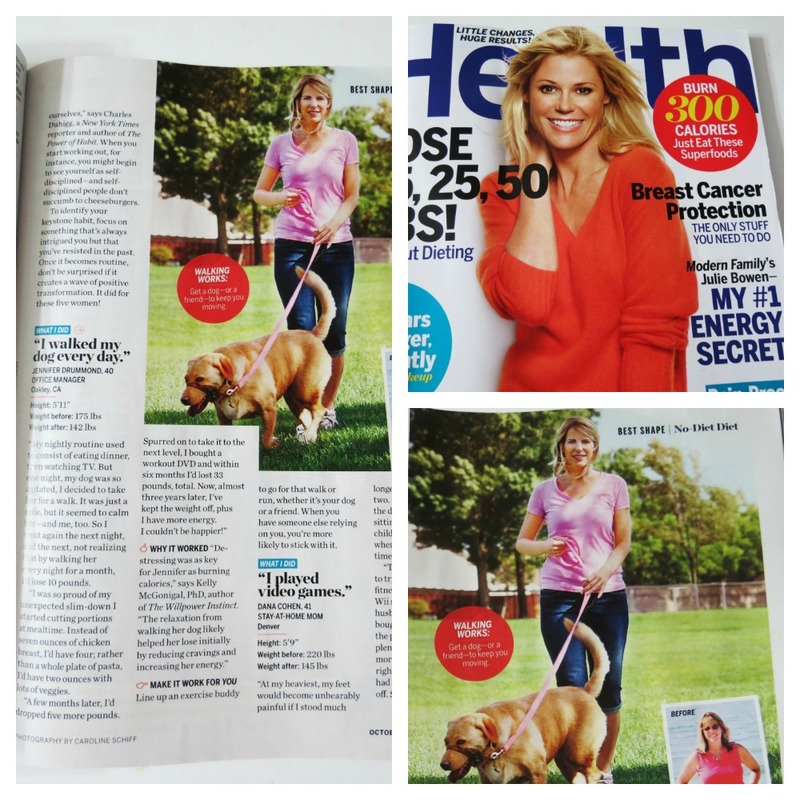 One last thing, don’t forget to check out this months Health Magazine! I’m in it, plus a bunch of other wonderful woman with inspirational stories!! P.S. 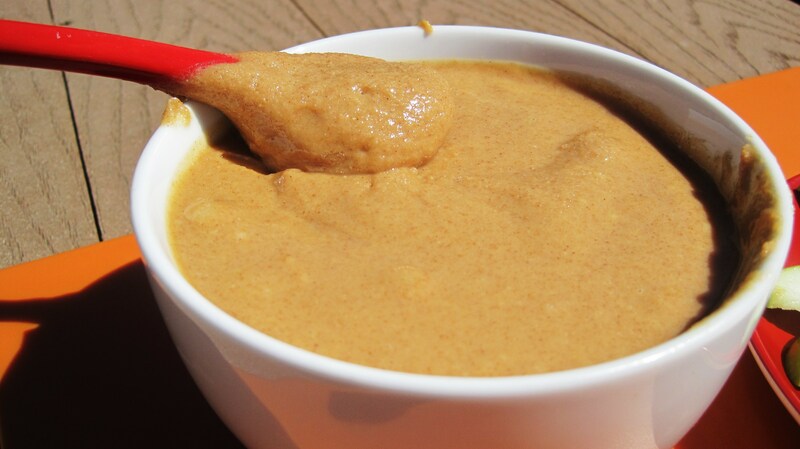 Since there was a huge Peanut Butter Recall, I am giving you the link to make sure your PB is not on the list. Just go here! Now, maybe you should get that food processor out and make my Peanut Butter! Check out all my variations on my recipe page! How cool is it that you’re featured in a magazine? Oh my lord, so jealous over here! Love these recap posts- and the fall colors/themes in the photos. Omg I have it and I just fed over to see you! I love the photo, congratulations!!! I was wondering what to do for lunch, even tempted just to go out. But those egg sandwiches just called my name and that is what I am having!